To check our actual offers in Krakow, please use the white form above. Just enter the desired dates, time and pick-up/return location. The most recent car booking in Krakow has been made on our website 3672 minutes ago.. 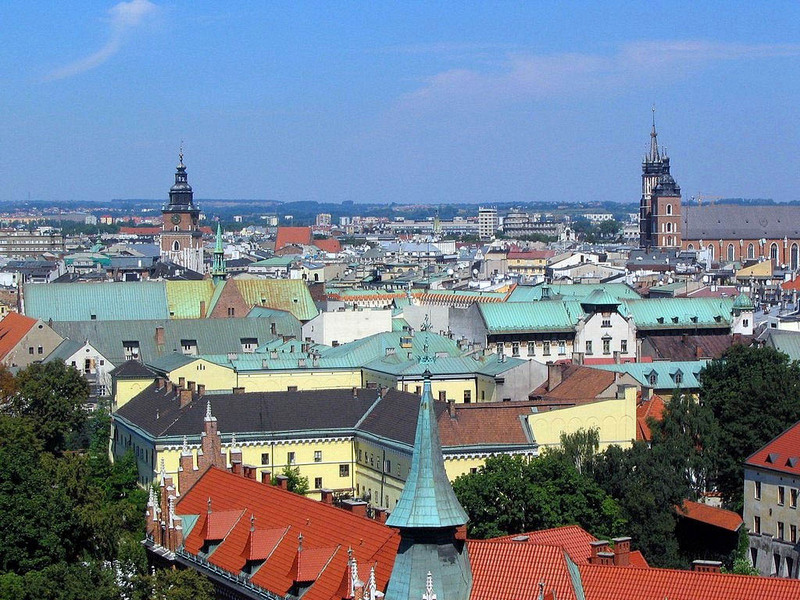 In Krakow, we offer for rental 9+ car categories from 29+ rental suppliers. OrangeSmile provides one of the lowest rental prices on the worldwide market. You can save on your car hire in Krakow even more: (1) by renting your car purely at an airport with the pick-up/drop-off at daytime; (2) by keeping the pick-up and return at exactly the same rental location in Krakow; and (3) since rental prices in Poland are computed based on 24-hour interval, try to match this period and return your car just before your last 24-hour period expires. Additional saving can be achieved by making your reservation few months in advance. Rental rates in Krakow increase as the rental date is approaching. To avoid financial risks in case of an accident or a theft in Poland, we advise to order an insurance package with the full franchise coverage (Zero Excess). You can do it directly at the rental desk in Krakow, or during your booking time on our website. Before visiting your rental office, prepare all the required papers that are specified in your voucher, plus, a printed map of Krakow. Pile the documents together to act quickly at the rental desk during pick-up. Do not forget to examine the car conditions prior to leaving the rental parking in Krakow: wheels, windows and chassis for scratches and other defects. Check against your rental document whether all the defects are already specified. Rental offices in Krakow are sometimes strict on delays in car return, therefore, always try to bring the car back to the rental office at the specified time. Explore Krakow and Poland to the maximum, having your rental car as your friend always near! In order to admire the panorama of Krakow, one doesn’t necessarily need to head to a paid observation deck. There’s a good way to save and make your exploration of the city more exciting by making an unusual walk. All you need to do is to reach Waszyngtona Avenue and walk till its end. The avenue ends with a stone wall that surrounds Kopiec Kosciuszki . The entrance to Kościuszko Mound is paid, but there’s a very simple way not to shed any money. Just go up the stone stairs to the café located above. The terrace of the café is a worthy alternative to paid observation decks. Instead of paying for the ticket, it’s better to use that money to buy something to eat in the café; moreover, the prices are very affordable. If gastronomic tourism is an essential part of your vacation program in Krakow, don’t forget to visit the Market Square ( Rynek Glowny ). The square attracts not only history fans but also lovers of baking. There are small stalls that sell delicious fresh baking. Fragrant buns with sesame, nuts, and even salt – it is hard to find a better place to have a breakfast or rejuvenate after long excursions.